Lacrosse is still a growing sport. Personally, I never understood lacrosse before I arrived to the University of Massachusetts. Even now I don’t fully have a grasp of the sport, but I’ve gained a greater appreciation of lacrosse after watching two of the most successful, yet underrated, teams at UMass. 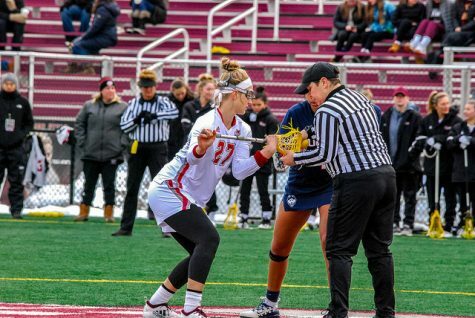 Men’s and women’s lacrosse doesn’t garner the same attention around campus that say, the hockey or men’s basketball team does. 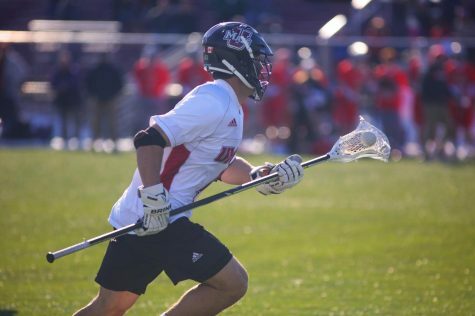 Granted, hockey and men’s basketball are far more recognizable and relatable sports for the majority of college students in comparison to lacrosse. The reason for that is the general public is still catching up to lacrosse’s unique style of play, as I had to. 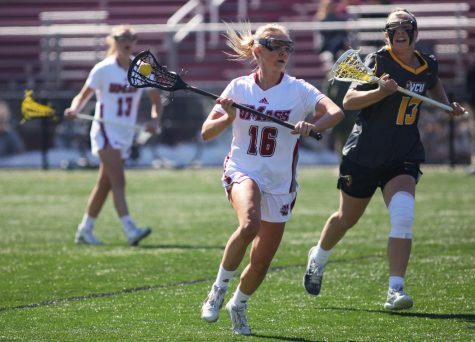 In the spring semester of 2010, I was placed as a reporter on the UMass women’s lacrosse beat. Prior to that, I never knew the rules of lacrosse, let alone ever watched a game. I remember being disappointed when I asked to cover the baseball team and was handed women’s lacrosse instead. I had always equated lacrosse to something new-age – like arena football – never respecting it at the same level of the four major sports. It took watching a few games but slowly, I began to understand the nuances of the game. As someone whose favorite sport is basketball, I consider team-play to be the most enjoyable and exciting aspect of sports. From a distance, I didn’t know how similar basketball and lacrosse were in that facet. But midway through that spring season, I understood that some of the same things were necessary for success in both sports. Chemistry and teamwork are significant in lacrosse. Like basketball, understanding one’s teammates is essential in order to capitalize on the team’s strengths and compensate for its weaknesses. Just like a point guard should know where a shooter wants to catch the ball in basketball, a passer must know where to hit their teammate for a fluid shot attempt in lacrosse. Just like moving without the ball is important in basketball, cutting to the net and getting open is key in lacrosse. Fortunately for me, I was treated to some of the best collegiate lacrosse in my first season following the sport. 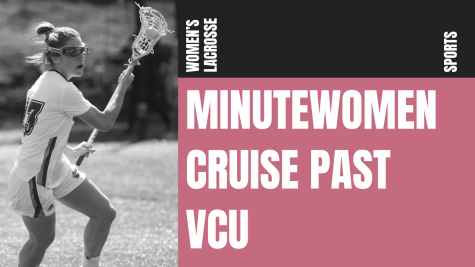 The Minutewomen, despite dropping their contests against nationally-ranked opponents, battled tough with the likes of No. 1 Northwestern, No. 10 Boston College and No. 19 New Hampshire. 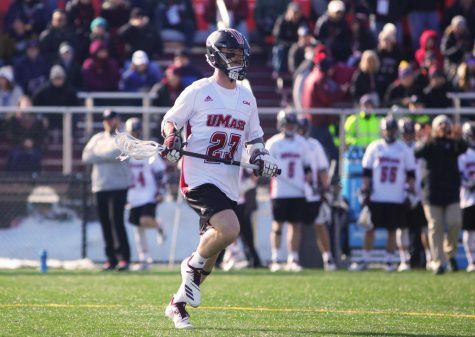 UMass’ efforts were enough to earn a shot in the NCAA Play-In Game versus No. 15 Stanford. A 15-12 loss ended the season as well as ultimately bringing coach Alexis Venechanos’ tenure to a close. But her four-year stint produced an NCAA tournament appearance (2009), two Atlantic 10 Championship Tournament titles (2009, 2010), an A-10 regular-season title (2009) and three apperances in the A-10 Tournament Championship. Last season, coach Angela McMahon, who assisted in coaching the Minutewomen previously, parlayed Venechanos’ foundation to another NCAA tournament berth. UMass fell in the first round to No. 5 Loyola 14-7, but another successful season was paved by a program that hasn’t received enough fan support from students on campus. From one successful lacrosse program to another, I covered the men’s team last spring and continued learning the game. The Minutemen claimed victories in five of their first six regular-season matchups and made a run to the Colonial Athletic Association championship game before falling to Delaware. The success was nothing new for coach Greg Cannella, who is entering his 17th year at the helm of UMass. Cannella has guided the Minutemen to seven NCAA tournaments and the second-winningest program in all of collegiate lacrosse from 2001-2006 with a 70-24 record. UMass’ success climaxed in 2006 when an unseeded Minutemen squad reached the NCAA title game by defeating the No. 2, 3 and 4 teams, making for the most difficult road to the championship game in history. Of course the unprecedented run received attention from the UMass faithful, but nothing to the effect of the Final Four run by the men’s basketball team in 1996. The truth of the matter is that both the men’s and women’s teams deserve more support from UMass fans than they are currently receiving. Regardless if it’s men’s basketball or lacrosse, winning on a national level only brings more positive attention to the University. Some say they choose not to attend a UMass football game because the quality of play is low in relation to the national scene. 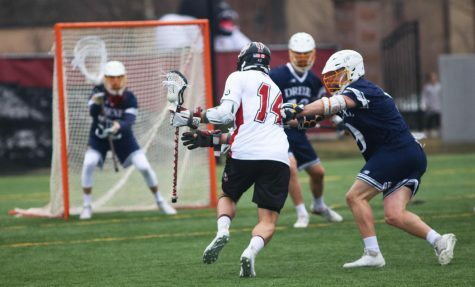 Whie this argument may be viable for football, there is no excuse not to view some of the best collegiate lacrosse in the country on your own campus. 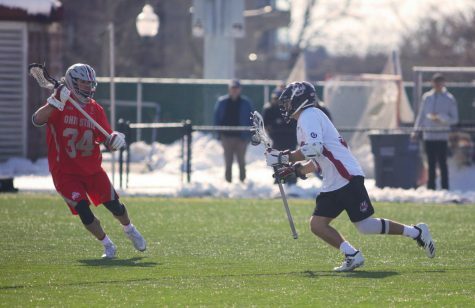 Maybe students are catching on as the sport of lacrosse continues to rise in popularity, but there should be no reason for empty stands this spring when the Minutemen and Minutewomen take the field. 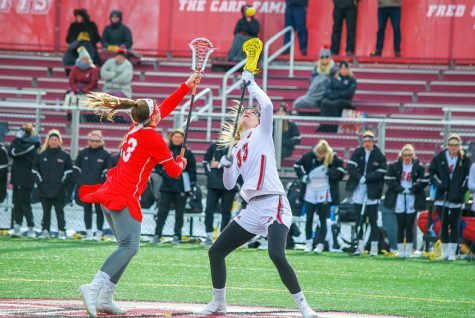 The men’s team is predicted to finish second behind Delaware in the CAA this season, whereas the women’s squad has been picked to finish atop the A-10. 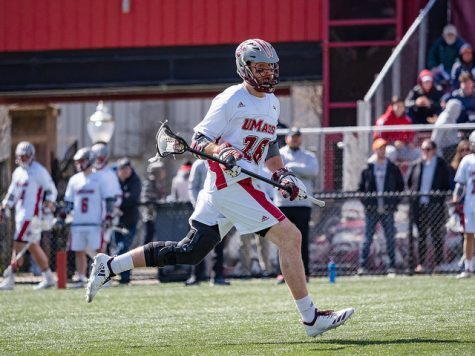 However far the revamped men’s basketball team goes in the postseason, remember that when trying to find pride in UMass sports, you need to look no further than lacrosse. Jay Asser can be reached at [email protected] and followed on Twitter @MDC_Asser.